Streatham SW16 Top-rated Suede & Leather Upholstery Cleaners | RDA Cleaning & Maintenance Ltd.
Upholstery is the part of the interior that needs more decent and regular cares. Ordinary cleaning procedures either do not work, or can be very dangerous for the delicate materials. But if you make a smart decision to rely on our expert upholstery cleaning company in Streatham SW16, you will enjoy beautiful living or working space without even sweating. Remember this number 020 3404 1646! Every time you need assistance for thorough office and home upholstery cleaning service, dial it to reach our kind and understanding customer support representatives! They are available for your questions 24/7 and fully in English. Our Upholstery Cleaners Streatham SW16 Can Remove All Spot Types! Regardless of what the stain on your upholstery is, we will be happy to remove it. Book our professional upholstery cleaners Streatham SW16 right away! Pre-treating of all stains, high traffic areas and dirt patches with the proper detergents. There are detergents for coffee stains, fruit stains, makeup stains, etc. Check out now the entire list of upholstery types we clean: couch or settee, Traditional sofa, Convertible sofa, Loveseat, Divan, Settee, Sectional sofa, Sofa bed, Hide-a-bed, Couch bed, Sleeper sofa. Unlike most professional sofa & chair cleaning Streatham SW16 companies, RDA Cleaning & Maintenance Ltd. has developed two special formulas. They are devoted to the luxurious leather upholstery and the delicate suede upholstery cleaning. For these chores we apply either foam cleaning technique, or specific dry remedies with instant impact against bacteria. The aim is to avoid shrinking and tearing. And the final outcome is always shiny and hygienic upholstery as it has been just bought from the store! First-Class Upholstery Cleaning Services In Streatham SW16 - Booking Us Is Simple! 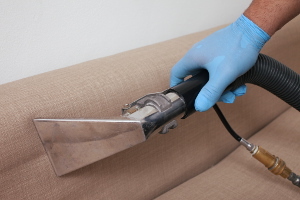 To book our professional upholstery cleaning service in Streatham SW16, call 020 3404 1646. Our customer support staff is more than ready to help you when choosing the best treatment for your home or office upholstery.